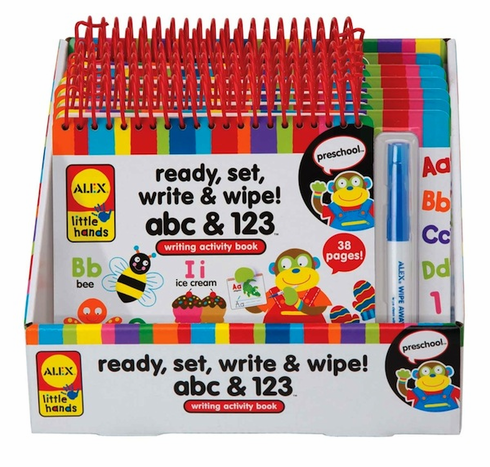 Home > Toys > Babies and Toddlers > Ready, Set, Write! Learn to write A,B,C's and numbers with ease! This spiral-bound pad contains 19 pages of numbers and letters that wipe away for lots of practicing. Ages 3 and up. Price is per pad.